When humans first started looking at the night sky, they were presented with thousands of points of light. Eventually, those stars were divided into shapes and named. 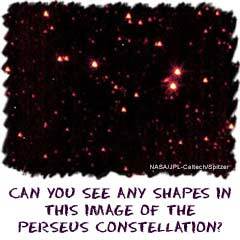 The people who named these constellations didn't know anything about astronomy. They only looked for shapes and patterns that would help them map the night sky. Who did the naming? A guy names Hipparchus. He made up a book that described the night skies above the Mediterranean region of Earth. You may have heard of something called astrology. It's similar to the word astronomy, but very different. 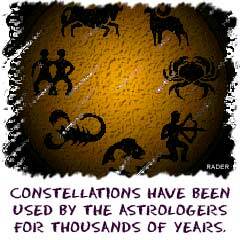 Astrology is based on twelve of the star constellations we have been discussing. Based on the time of year you were born, there are specific constellations visible in the night sky. Astrology relies on those twelve constellations. Astronomy is the scientific study of space. Astronomers use physics, chemistry, geology, and biology to understand stars, planets, and space. Ancient Greeks and Romans were not the only people looking up to the skies. The Chinese and Japanese have described their own constellations and named them after animals. India and cultures in Middle and South America developed their own constellations. Each culture saw different things in the night sky because of their unique cultures, belief systems, and locations on the planet.